How Can I Use Insurance to Protect My Child with Special Needs’ Future? Protecting the future of your child with special needs requires a many-faceted approach, and insurance is only a part of it. Have you considered the role that insurance will play in your future plan? If not, now is the time to determine which insurance is best and how to get it. For many families of children with special needs, having good health insurance is the difference between crippling medical costs and a secure future. With careful planning, which may include setting up a special needs trust, your child may qualify for Medicaid after he turns 18 years old. Medicaid will then become the “back-up” to any private health insurance for medical expenses and be the primary source for all adult services including group homes and job coaches after aging out of special education. If you have private health insurance, consider what will happen when your child with special needs turns 26. Under Illinois Law, children with special needs can, in many cases, stay on their parent’s health insurance even after age 26. 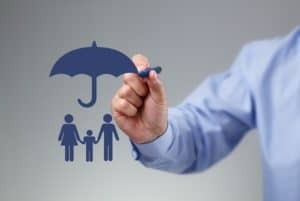 Many parents decide to take out life insurance on their own lives to help protect the future of a child with special needs should the parents predecease the child. Check that proceeds of your life insurance will pay into a special needs trust, rather than directly to the child. If they are paid directly to the child, the child could suddenly lose SSI and/or Medicaid eligibility. Parents may want to look into long-term disability insurance, which pays out if a parent becomes unable to work in the future. Another option is long-term care insurance, which helps pay for the costs of in-home care and medical assistance that you might incur in the future. Finally, double-check the terms of your property insurance or rental insurance and your car insurance, as well as your child’s if he lives independently or drives a car. Make sure that you and your family are covered for the future.